A combination of petroleum lubricants and graphite permeate the spun synthetic yarns to produce a packing ideally suited for services in hot and cold water, alcohol, very mild acids and alkalis, and steam. Typical services include rotary and centrifugal pumps, reciprocating pumps, and gasketing applications or other non-critical static sealing services. The Garlock family of companies is acknowledged as the global leader in high-performance fluid sealing and pipeline protection products for industry and infrastructure. Founded in 1887 and headquartered in Palmyra, NY, Garlock has 18 global operations employing more than 2,000 people. 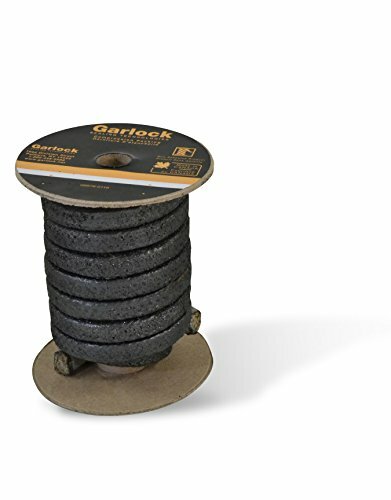 If you have any questions about this product by GARLOCK, contact us by completing and submitting the form below. If you are looking for a specif part number, please include it with your message.